The military are forces authorized to use deadly force, and weapons, to support the interests of the state and some or all of its citizens (thanks, wikipedia), that's why designer brands are mostly inspired by the historic ages, including uniforms from the 18 and 19 century, as well as by the WWI, WWII apparel. Personally, I love this trend because of the mannish touch what makes every look so special and powerful. This trend appears in every style, as well as in combination with other trends by mixing various prints and silhouettes. All the subcultures engaged this trend in their everyday looks (hipsters, hippies, boho chics and grunge lovers). This year we see military is back on its highway. Army touches were spotted in Kanye West for Adidas, Sonia Rykiel, Marc Jacobs, Victoria Beckham, Jason Wu, Yves Saint Laurent and other collections. Before we move on, I want to clarify that military outfit is not only about dressing like an officer or soldier, nut it's about playing with military details, by incorporating them into everyday looks. For instance, you may try on a military green shirt paired with your office pants, or try on camouflage print skirt styled with your favorite button down. Of course, if you are only beginner, then you might like to start with accessories, like bags, eyewear, shoes, belts, etc. There are timeless choices to try. 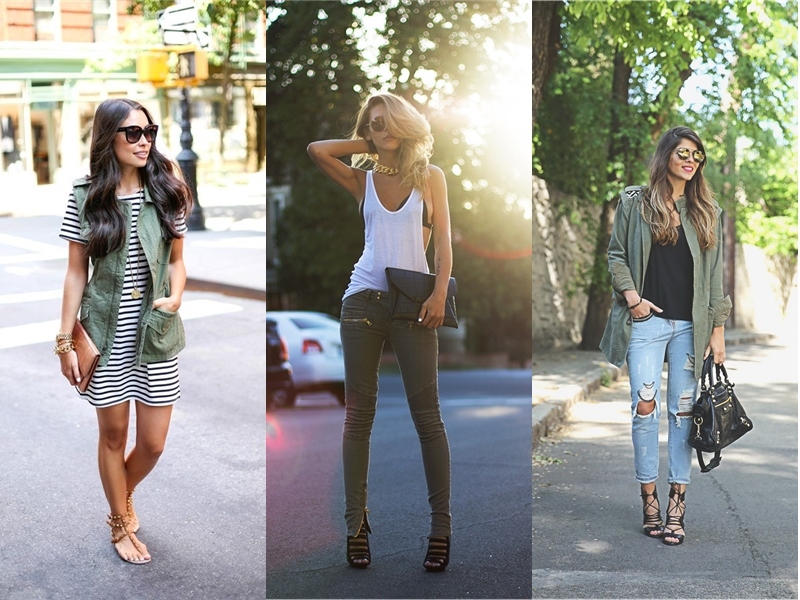 Speaking of colors, then I recommend to start from olive, army green, khaki and tan safari. Personally, I love navy and black combinations, but it's more naval. If we speak about materials, then you might like to try silk, soft cashmere or leather. Better to choose one color and style it with your favorite everyday clothes, for instance: camouflage tee can be combined with a perfect black colored leather jacket and cool skinnies tucked in high boots or paired with adidas sneakers. 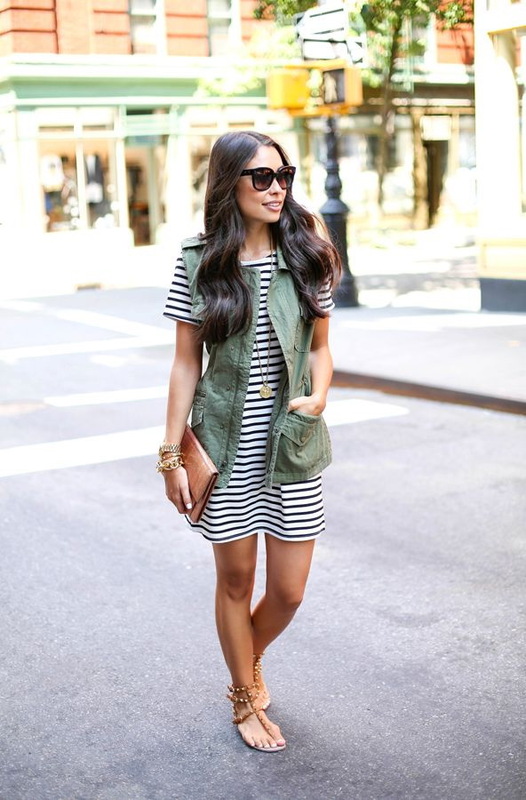 If you are still a little bit confused about how to wear military look, then you better scroll down and see everything by yourself.